Our first of three core elements beings with the Extraction. As consistency will lead you to success you should aim, that every prepared cup of coffee looks exactly the same no matter who prepared it. Find your patterns and stick to them. You should have 1cm or more foam. Remember you through the milk into your cup. If you make more then one cup of coffee you have to share the crated foam equally. Pour a bit of milk in each cup and fill up backwards (last cup first). You should have 0.5-1cm of foam topping your coffee. 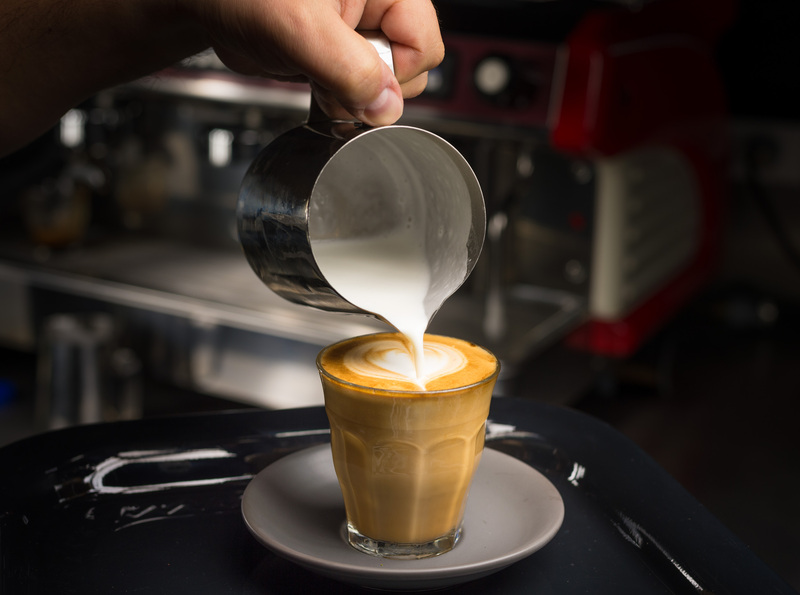 To pour a Latte start pouring the milk two fingers above your glass until the liquid rises up to about two fingers from the top of your glass. Go down with the jar to the rim of your glass and finish up. The last step will add more foam and allow you to create patterns. You should have less then 0.5cm foam. 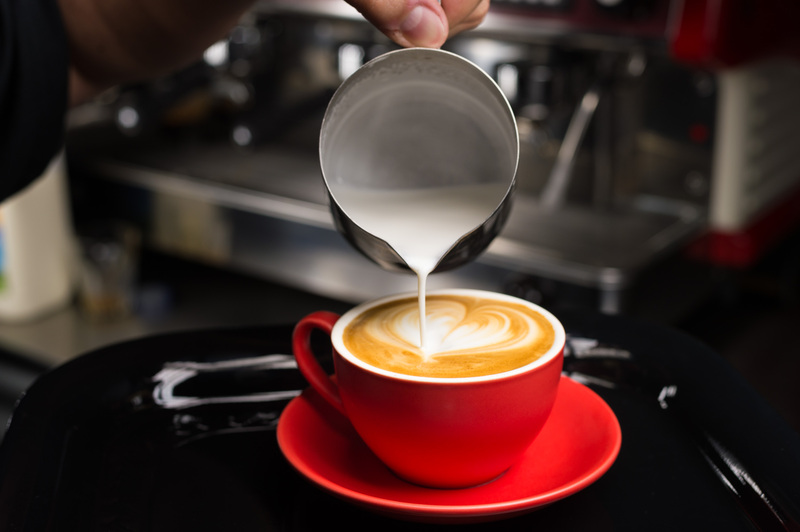 If you prepare multiple drinks in one go, you should pour the Flat White last, as it doesn’t require foam. 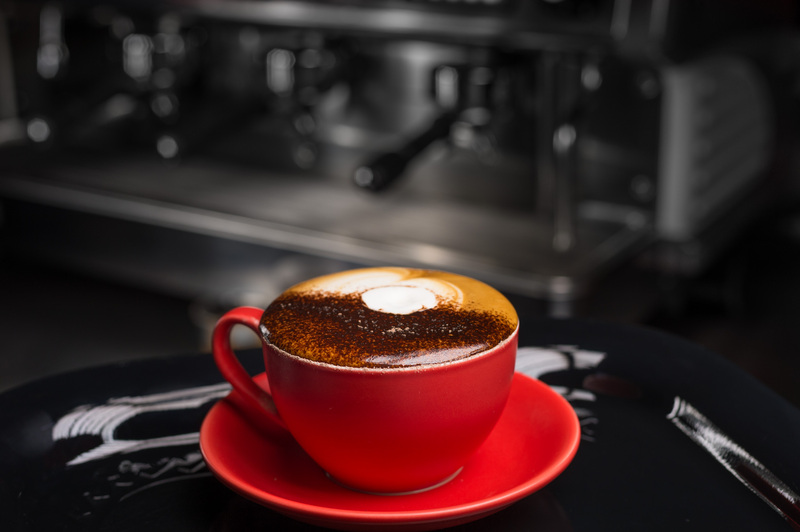 Use a small glass for your espresso shot and top up your coffee with a spoon of milk (placed in the middle). Add a few drops of milk if required. Use the water that comes through the part of the coffee machine where usually the group handle sits in to fill up your cup to about 2/3 full. Let the espresso shots run on top of your water to have crème cover the water surface. 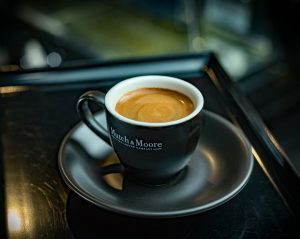 Produce a Long Black last, to make sure the customer still sees the crème. 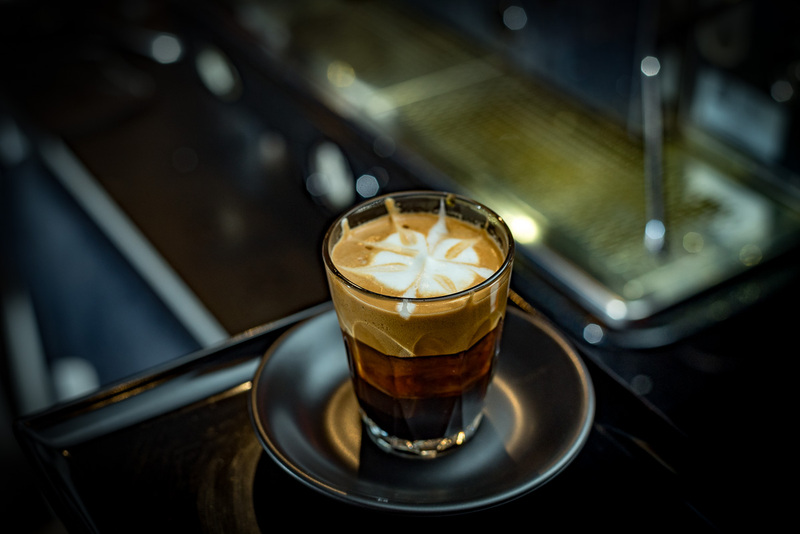 The Ristretto is a short Espresso shot. For this you should stop the water manually as soon as the dark strings in your coffee extraction stop. 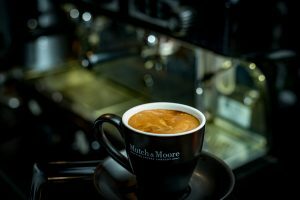 The main difference to an Espresso shot is you let less water run through your coffee. 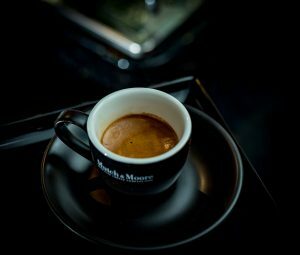 The classic under the short blacks: The Espresso. Allowing you to experience the unique notes of a coffee blend.